If you found this page while looking for a list of motivational quotes about business, you came to the right place. This is not a copy/pasted list of quotes that happen to be about business, success, or failure – we spent a few hours researching to find the best and most truthful quotes about business, and that meant going beyond lists of quotes that were already compiled. We’ve seen so many of the same quotes repeated in lists like these – the prerequisite Winston Churchill quote, that one by Thomas Jefferson – and we wanted to find quotes that spoke about deeper truths. We think we’ve succeeded. Here’s a list of the most truthful and inspiring quotes about business – if these don’t motivate you to take action today, nothing will. To be successful, you have to have your heart in your business, and your business in your heart. – Thomas Watson, Sr.
*Harvard Business Review calls this quote into question, as it can’t seem to be substantiated as a true quote by Henry Ford. Read this article for more information. 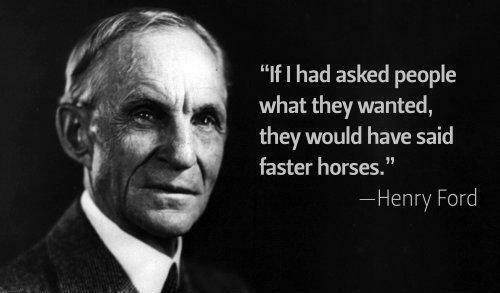 We included it here because regardless of the person who uttered it, it’s a great quote and reminder for business owners to be innovative.